Battlerite Royale Free Mountain Zebra Mount for Steam. 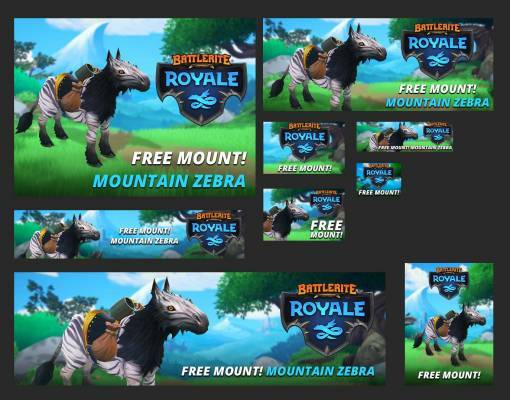 Stunlock Studios and F2P.com offer you you these Early Acces on Steam for Battlerite Royale. Free-to-Play new game. 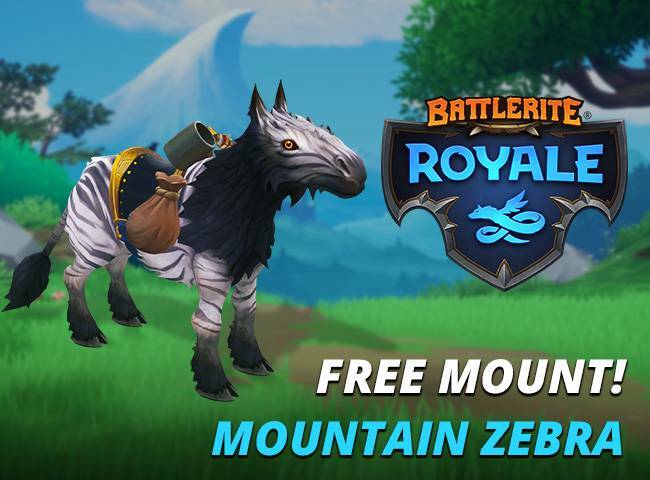 For this Early Access F2p.com offer to all the users these fantastic Free Mountain Zebra Mount for FREE. The Early Access will start today 26th of September 2018 at 19h CET, is when we will add the codes, for win one you must to follow these instructions. Step 3. Sing up for FREE on Battlerite and goe to STEAM and download the game. Battlerite Royale the fantastical Talon Island in a thrilling fusion between a MOBA and Battle Royale game. Choose your Champion and master their unique abilities, loot for treasures alone or with a friend, and rise above the competition in a top-down action-fest. Only the best survive to the end!